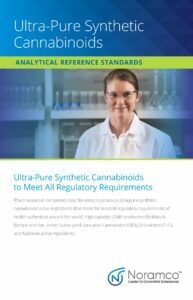 Global regulatory agencies require reference-standards to be of the highest quality, purity, and to be thoroughly characterized. These standards are used to ensure identity, potency, and quality of APIs. 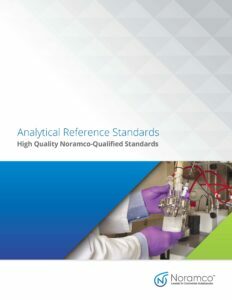 Noramco offers well-characterized, highly purified analytical reference standards for routine analysis, method validation and development, commercial investigations, stability studies and other product development activities. We offer more than 175 reference standards. All reference materials may be ordered in a variety of quantities to meet your project requirements. Custom synthesis requests for toxicology studies or other applications are also offered.